Lush Fab Glam Inspired Lifestyle For The Modern Woman: Five Steps To A Healthy And Fit Life. Five Steps To A Healthy And Fit Life. The older we get, the more we need to exercise, it’s just a fact of life. Our natural tendency is to slow down, not speed up, but stepping it up is exactly what we need to do. Stress, anxiety and weight gain can dramatically affect our bodies, health and quality of life and heart disease, diabetes, joint and mobility issues are no laughing matters. 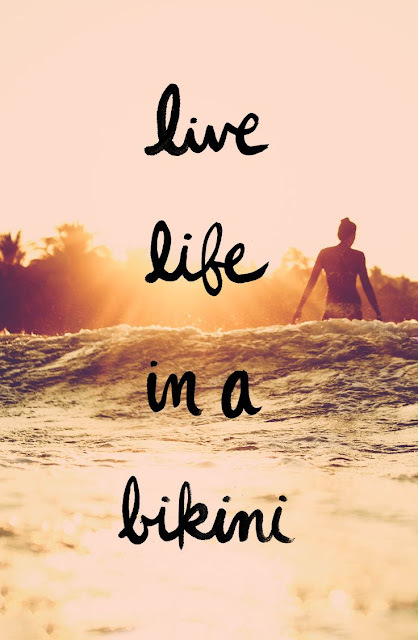 Get ready to "live life in a bikini." A recent study from the University of British Columbia found that aerobic exercise increases the area of the brain tied to verbal learning and memory. Engaging in regular, invigorating workouts can actually fight against the body’s natural decline toward memory loss and dementia. It is important to choose an aerobic exercise or fitness activity that's right for you. Activities such as walking, running, tennis, swimming and cross fit all get your heart pumping and stimulate the growth of new blood vessels in the brain. It is also important to be comfortable while working out. Wear clothing that is specifically designed for exercising and made from materials that are breathable, can absorb sweat and most importantly that are comfortable and allow you to easily and effortlessly move around. The Shoes you would use for running are not the same shoes you would use for weight lifting. The bounce and flexibility you need for slamming your soles against the pavement during a long run will work against you in the weight room when you need shoes with a firmer foundation for support. The right shoes will bend, support, and cushion when and where you need them. If you are doing crossfit for example you will be engaging in a number of different exercises and positions and you should be able to safely do them while avoiding injury due to improper shoe selection. There are a number of places on the internet where you'll find excellent cross fit shoe reviews to help you choose the shoe style that will be comfortable and best for your fitness needs. The reason why so many people fail to create a consistent workout routine is because they choose to go it alone. Having a trainer, fitness instructor, or an exercise partner or group provides you with a support system as well as people to keep you accountable for your progress by motivating you stay on track. It’s not too late to start getting healthy. Pick an exercise that you can stick too. Make time to find the right workout wear and shoes. Join a class, find a fitness instructor or trainer to help guide you and/ or team up with a fitness partner to keep you motivated. Most importantly don’t procrastinate, there is no time like the present to begin your journey to building a stronger, healthier body. Seize the day! 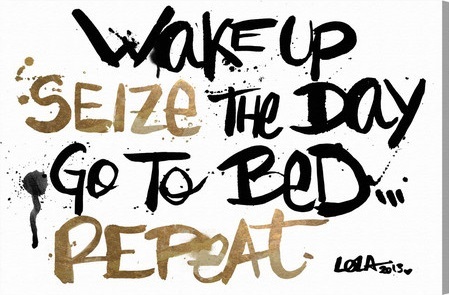 "Wake up seize the day. Go to bed ...Repeat." We hope this article has inspired you to begin or resume your journey to a happier, healthier lifestyle. Inspire others to begin their fitness journey too by sharing this post using the buttons below. This post is brought to you by our sponsors. All opinions are mine.